Clever Alternative to Using Colony Counters. 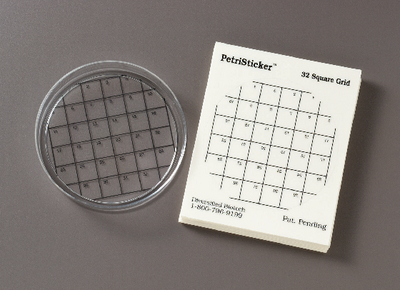 Simply attach this transparent, waterproof sticker to the bottom of your Petri dish. The equally-shaped divisions of the grid are ideal for colony counts, while the 6-section is perfect for sensitivity studies.